No one said it was going to be easy, but students who attended Denfeld High School this year have become well-versed in the complexities of change. From the merging of both schools at Central last year to their merging at Denfeld this year, students are far better prepared to transition into college and life after high school, some said last week. But the road to get there was long and tough, she said, and seniors began to gel only in the past few weeks, thanks to things like a senior retreat last month. When Denfeld students graduate this week, it will bring to a close the last year of major transition for Duluth’s high schools. The school district’s consolidation plan included the Central High School’s closure. Central students were divided between Denfeld and East, with Denfeld getting the larger share. Of the current juniors and seniors who attended Central before the first consolidation, 201 are at Denfeld this year and 88 are at East. The year wasn’t easy for students or staff, said Denfeld’s interim principal Tonya Sconiers, formerly assistant principal who mid-year replaced Ed Crawford when he became assistant superintendent of the district. The school was brand-new to Central students and staff, but it was also a change for those who had attended or worked at Denfeld before. The school, with a population of about 1,200 students, has a new addition with science and music classrooms, a large commons area and kitchen and cafeteria. Blue had replaced some of the maroon and gold interior. The office was in the new addition with a secure main entrance for safety reasons, forcing students to sign in during the day to gain entry. Seniors no longer had their own hallway because the lockers of all four grades were mixed together. Travel time between lockers and classrooms had grown longer because of the larger space, students said, which also diminished the feeling of community. Administration had different rules. School spirit was weaker, said senior D.J. Richard, who also originally attended Denfeld. He remembered his days as a freshman and sophomore at the school and the enormous effort students put into decorating their halls, wearing school colors and showing their pride. Those feelings, the students said, led to difficulties bonding in the first part of the year. Last year’s and this year’s senior classes had a lot of adjusting to do, said Ethan Fisher, social studies teacher and executive board adviser. He and other teachers have worked to deepen students’ relationships and rebuild school spirit. Teachers and other staff went through much of what the students did in adjusting to a new school. And dealing with the changes while layoffs deplete their ranks has been difficult, Fisher said. “It’s hard to get really excited for things when you know the person next door might not be here next year,” he said. 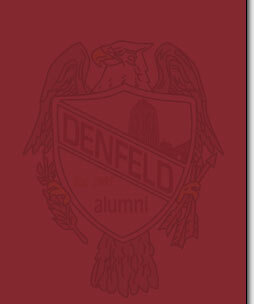 Students and staff members had to decide how to honor Central and Denfeld traditions. A “Remember the Trojans” day was held during the school’s “snow week.” Two separate courts were held for homecoming, so there was a king and queen and a Helen of Troy and Paris, to represent each school. But that decision didn’t come easily, students said, and there were some who didn’t agree with honoring Central. The Central way of holding pep assemblies in the gym was chosen instead of using the auditorium. The Central chimes will be played at graduation, where both school alma maters will be sung. Seniors who had previously gone to Central will receive a certificate of participation for the school inside their diploma. Many of those seniors had asked for Central diplomas, Sconiers said, but because the school is closed, it’s no longer recognized by the state. A lot of work has gone into blending Central and Denfeld traditions into end-of-year events, Sconiers said, and the hope is that new ones will be created, giving students ownership of those. What worked this year, Tusken said, is that students were honest about issues, and administration was willing to listen. The idea of a senior hallway, for example, will be revisited. He cited the recent senior assembly, where, after the Denfeld school song was sung, several students, from both schools, spontaneously began singing the Central song. “That says a lot about the healing process,” he said. Fisher, who graduated from Denfeld in 1991 and taught at Central before this year, said freshmen were added to Denfeld his senior year. The school will become more cohesive as former Central students graduate, students and staff said.